Korean food is notoriously difficult to make. If it isn’t some rare and exotic ingredient it’s a long and convoluted cooking process, which is a shame ‘coz Korean food is so darned tasty! 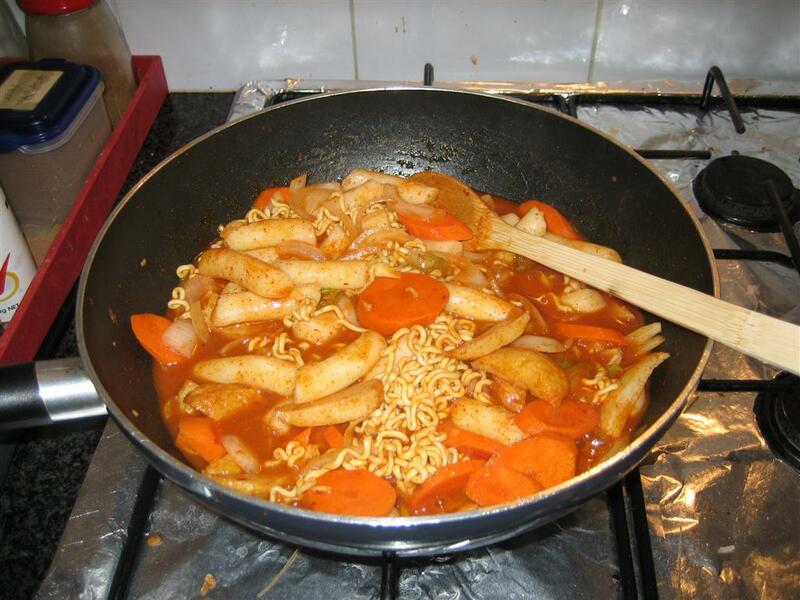 I recently discovered a recipe for rabbokki (라볶이), which is kinda like a Korean version of bubble-and-squeak in that you can pretty much chuck whatever you like in there as long as you’ve got the basics (i.e. rice cake and chilli paste). 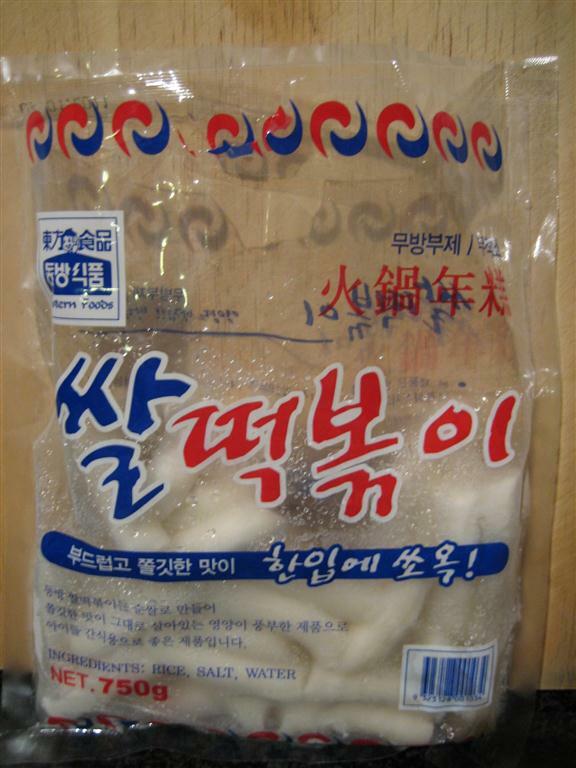 It’s very easy to make, and uses ingredients that aren’t too exotic – although some of the items you’d still have to get from a Korean grocery store rather than a supermarket. This recipe serves 4 – it won’t look like much, but rice cake is very filling! 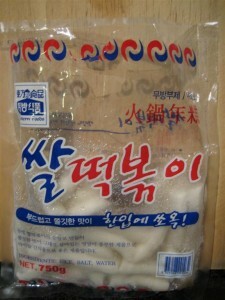 To start with, soak the rice cakes for about 15 minutes. While it’s soaking, cut the onion into slices, and the cabbage into rectangular pieces. Mix the gochujang, sugar, garlic and chilli powder in a bowl. Boil the water in a deep frying pan, then stir in the gochujang mixture. Add everything else, and cook until the rice cakes are cooked and the noodles softened. Simmer until the sauce starts to thicken, adding more water if you like a bit more sauce, but don’t overdo it. It’s is supposed to be thick and gluey. You can add up to an extra tablespoon of brown sugar if you prefer it sweeter. Feel free to chuck in whatever you like. In my picture you’ll see that I’ve got carrots in there instead of cabbage. Other suggestions: mandu (만두 – dumplings), spam, the thinly-sliced beef that Koreans use for bulgogi (불고기), seafood, bean sprouts, spring onion, etc. Feel free to share your favourite combination in the comments! They’re nice but not essential. Maybe you could substitute with sliced fish fillet pieces if you like your seafood, or sliced prawns… just about anything, really!